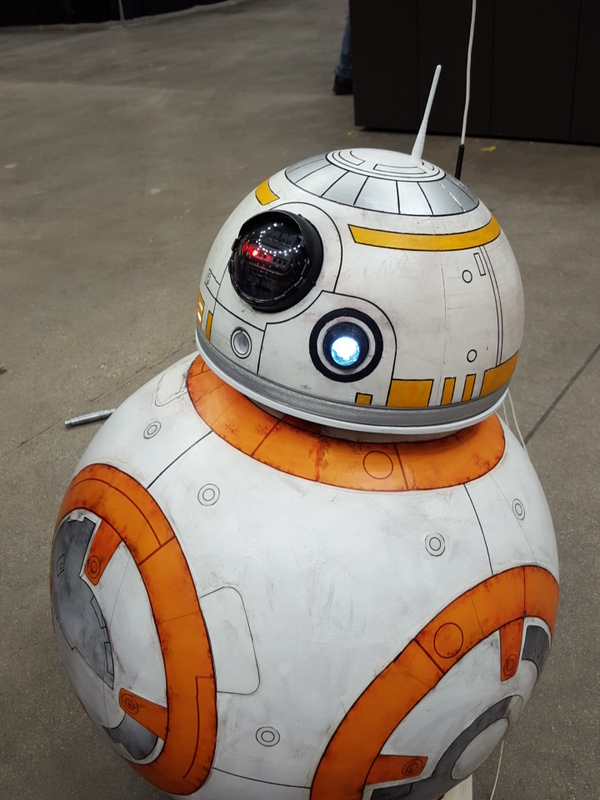 I thought I'd share my static BB-8, I'm still working on a rolling one but for now I've been walking this one around a few cons. Is there a kit that you bought? If so, where did you get it? 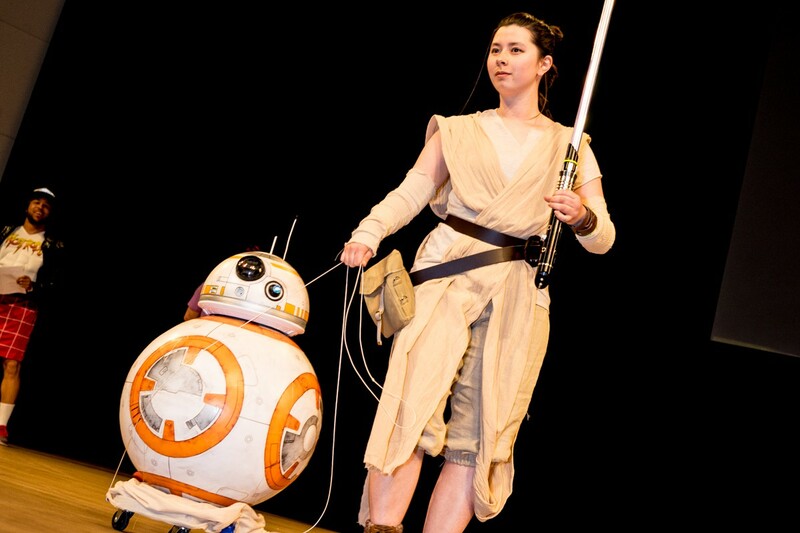 There aren't kits, I'm a member of the BB-8 builders club and like the R2 club they can't sell kits. Members can get approved to do runs of specific parts through the club but I don't know much about how that works. I made all of my bb8 myself, the head is 3D printed from club files then sanded and hand painted. There are lights and sounds equipment in the head but that's all the electronics I plan to have in my static version. The body is made of fiberglass over an exercise ball. The design on the body is decals I go from club files then I added a few details by hand and weathered the whole thing. My next version will probably have a 3D printed body so that the drive system works better but I'm still in the planning stages. I tested a few drive systems with my current build but the head wasn't stable enough so I'm redoing the body. You can look the bb-8 builders club up on fb, most of the members are pretty helpful if you want to ask questions about building.